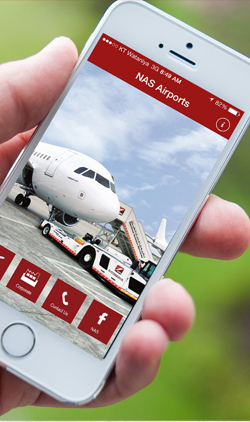 "NAS Abidjan" is the official mobile phone application for National Aviation Services. 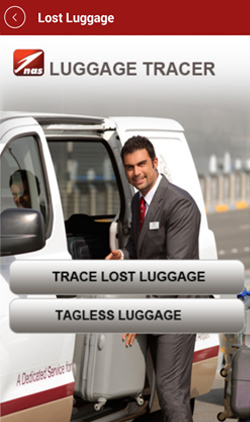 This free application is designed to assist travelers with flight information, book airport "Lounge" and "Meet & Assist" services, receive promotions, trace lost luggage, and much more. 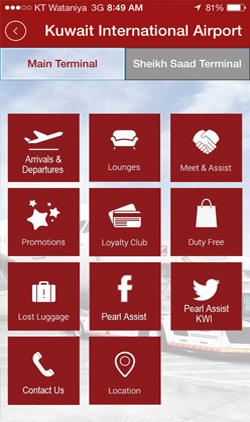 Use this application to access information at any of our stations including Félix Houphouët-Boigny International Airport, Kuwait International Airport, Abu Dhabi International Airport, Kigali International Airport, Sharm El Sheikh International Airport, Khartoum International Airport, Kabul International Airport and many more. 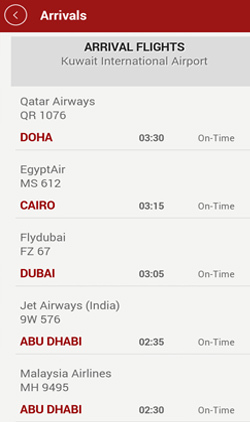 As NAS expands its network, more and more airports are added. NAS - Abidjan © Copyright 2015. All Rights Reserved.